Have you ever wondered if you can make your own powdered laundry detergent? We’re on a mission to lower our grocery bill and making our own cleaning products is something we’re experimenting with. This is the best homemade laundry detergent recipe I’ve tried so far. I may tweak it a little bit in the future to add different essential oils for fragrance. I’m using lavender essential oil right now. But, orange or lemon would be nice additions too. Right now, I am adding lemon juice to my whites to freshen them. With prices increasing daily, it’s good to know how to make some of your own household cleaners. You really can make your own cleaning products for pennies. Is making your own laundry detergent cheaper? That really depends on what you buy. If you aren’t buying eco-friendly laundry detergents and you coupon extensively, it’s possible to get laundry detergent relatively cheaply. But, if you want a laundry detergent that’s not as harsh on our environment, this is a great option. Make sure that you’re hanging your clothes to dry rather than using the dryer as well. How do you make natural laundry powder? The definition of natural depends on your interpretation. If you’re looking for something completely natural, I would recommend soap nuts. They didn’t work that great for us with hard water, but you may have better luck. You can try modifying this recipe by eliminating borax and using a coconut oil soap instead of the Fels Naptha. Can I make my own HE laundry detergent? 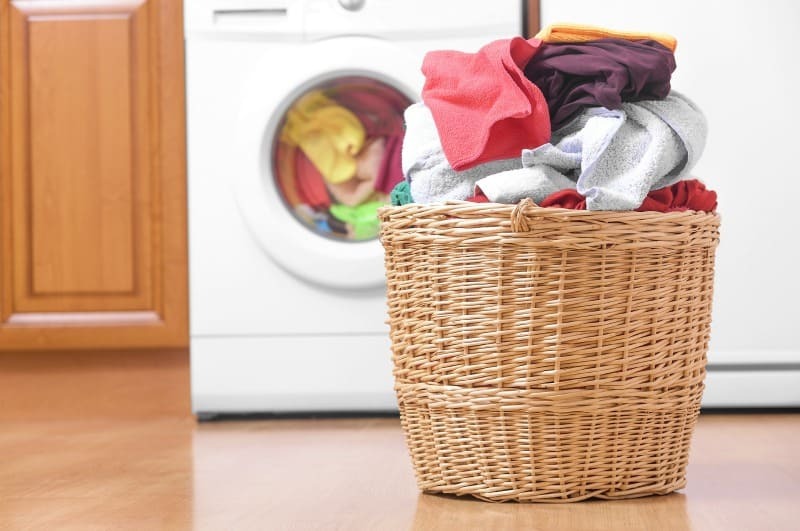 HE or High-Efficiency washing machines generally mean you need to use liquid laundry detergent. But, I have a High-Efficiency washer and use this recipe without any problems. Consult your user’s manual to be sure and make your own decision. I’ve had several people tell me that homemade laundry soap is bad. But, it really depends on what you’re using. If you expect to have clean laundry with just soap and essential oils, it’s probably not going to happen. Soap cleans, yes. But, the washing soda helps remove dirt from the clothes. And, the Borax brightens your colors and whitens your whites. My Grandmother in Vermont always used Fels Naptha in her laundry. But, if you are from out west or down south, you might be more familiar with Zote. So, you can substitute Zote for Fels Naptha in this recipe if that’s what you have in your area. If you prefer liquid laundry detergent to powdered detergent, you can mix 1/2 cup of Borax, 1/2 cup of Washing Soda, 1/2 cup of Dawn Dish Soap, and four cups of HOT water. Pour it in an old detergent jug and fill it the rest of the way with cold water. And, shake before use. So, you may not see as many suds as you’re used to but it will clean just as well. If you want to, you can add a drop of essential oil to the water as your washing machine is filling up. I like lavender the best. Now that you know how to make your own powdered laundry detergent, do you want more laundry articles? or, learn how to make natural laundry boosters to make your whites white and your colors bright. And, learn how to save energy washing clothes.